Police are on the scene of a crash in Newcastle, with a car plunging down an embankment at King Edward Park. 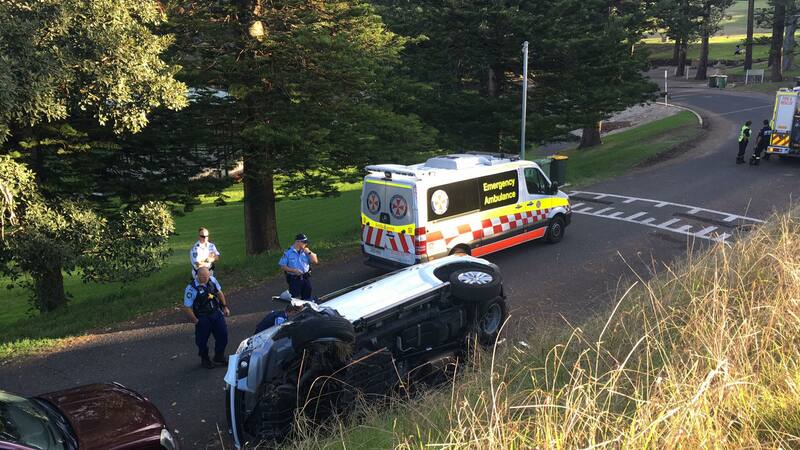 The vehicle left Reserve Road, hit a pole, then rolled dozens of metres down the hill coming to rest on York Drive. Incredibly, the driver walked away – he’s been taken to hospital.